Limited companies are required to file accounts that comply with Companies House and applicable accounting standards within 9 months of year end. If you’re a sole trader, you are still required to produce accounts to complete your self-assessment form. Using your cloud based accounting software, we can produce your annual accounts and file these with Companies House before the deadline. 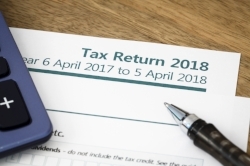 Corporation tax returns are due 12 months after the end of the accounting period to which it relates and penalties are applied even if you’re a day late (£100), with further penalties arising if your corporation tax return is more than 3 months late. Payment of your corporation tax bill is however due 9 months and 1 day after the end of the relevant accounting period and interest accrues on late payment. We can file your corporation tax return when we file your annual accounts, giving you time to pay your corporation tax liability before it’s due. Over 11 million people are required to complete and file a self-assessment tax return every year. Despite having nearly 10 months to complete and file, many individuals leave it to the last minute and nearly 7% failed to get their return by 31 January this year. Rather than leave it too late, we can complete your form and ensure you don’t pay any more tax than you need to. Check to see whether you need to file a self-assessment tax return.